Rebranded and redeveloped website of the corporate Commonwealth entity that assists Aboriginal and Torres Strait Islander people acquire and manage land. The ILC strives to build a secure and sustainable Indigenous land base both now and for future generations by delivering projects focused on a range of key topics such as employment, health and standards of living. 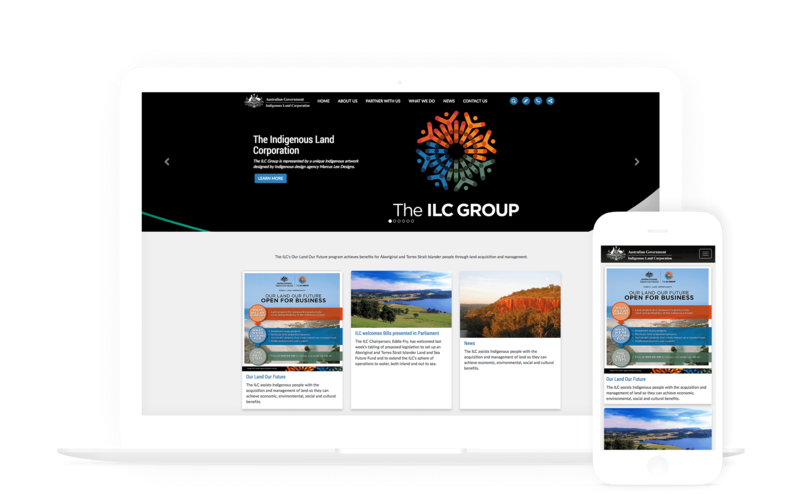 Having previously worked with the Indigenous Land Corporation on other projects, The Digital Embassy, as certified Kentico Gold Partners, were entrusted as the preferred partner in working with the existing Kentico software that the ILC website was built and managed upon. 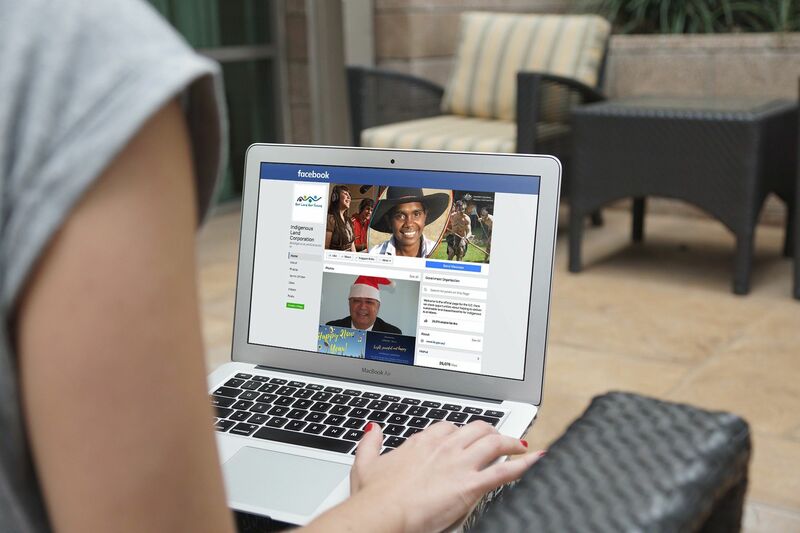 The ILC wanted to create a more personalised visitor experience and further develop their online persona for greater engagement with their broad audience through a website rebrand. The Digital Embassy identified the need to understand and define clear user personas to cater to the variety of ILC user types. 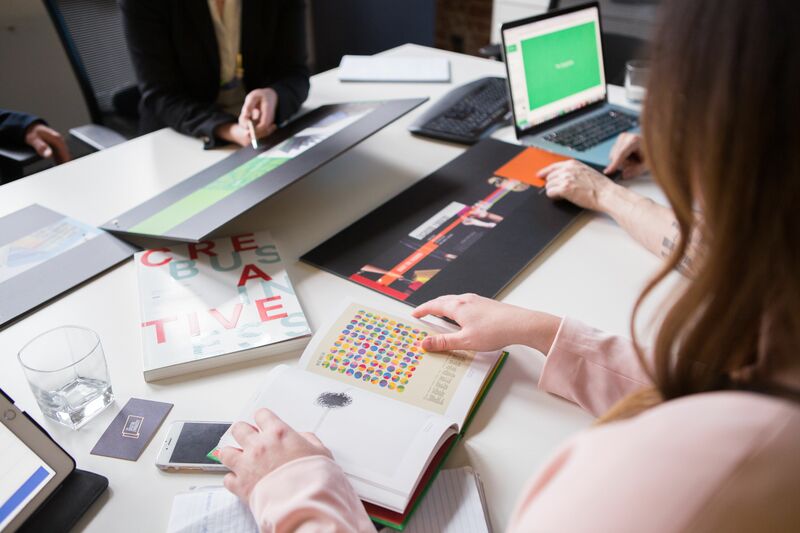 These user personas would provide the clarity needed to refine each users website experience, providing tailored content and functionality specific to them. The Digital Embassy worked closely with a small group of key ILC stakeholders through strategic workshops in order to identify the core business requirements surrounding updates toward the look and feel of their website. 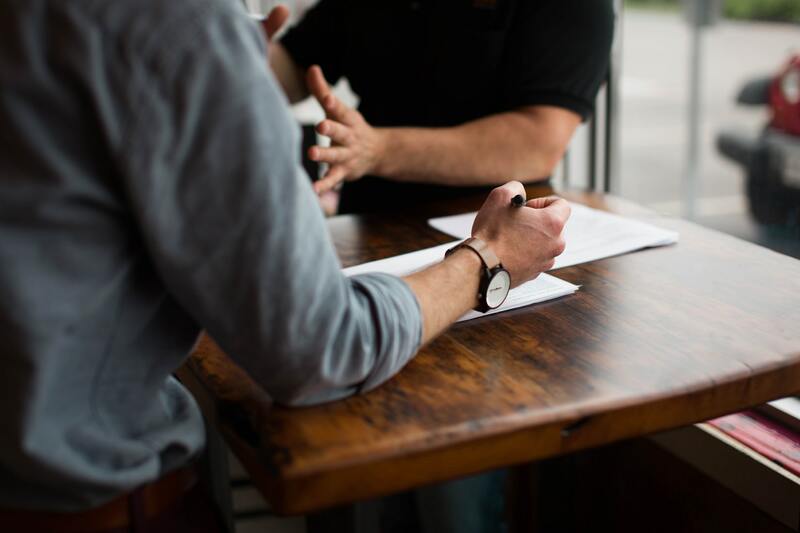 These workshops assisted in ensuring any updates remained in-line with current and emerging external communication priorities and programs targeted to the various defined user personas. With these elements defined, the Kentico supported website underwent a design rebrand and saw the introduction of improved functionality that would allow it to integrate seamlessly with the ILC’s subsidiaries. The Digital Embassy finalised a website content style guide and a specifications document that would help define ongoing modifications that incorporate the website’s look, feel and functionality for the in-house ILC development team to continue to utilise going forward. To increase the visibility of the ILC website, strategic workshops with key stakeholders were held to understand and define the core objectives, keyword strategies, user cases and outline key content matter for the Community going forward. Through these workshops, The Digital Embassy was able to define the metrics that would be used as SEO targets for the on-going maintenance of the site’s content including utilising the existing Kentico platform and introduction of Google Analytics. A high level SEO practices manual was written in order to provide the ILC with clear strategic direction with regard to future content updates on their website. The Digital Embassy assisted in activating the ILC on Facebook with a launch strategy that outlined how to use social media in their day-to-day communications consistently as a brand. 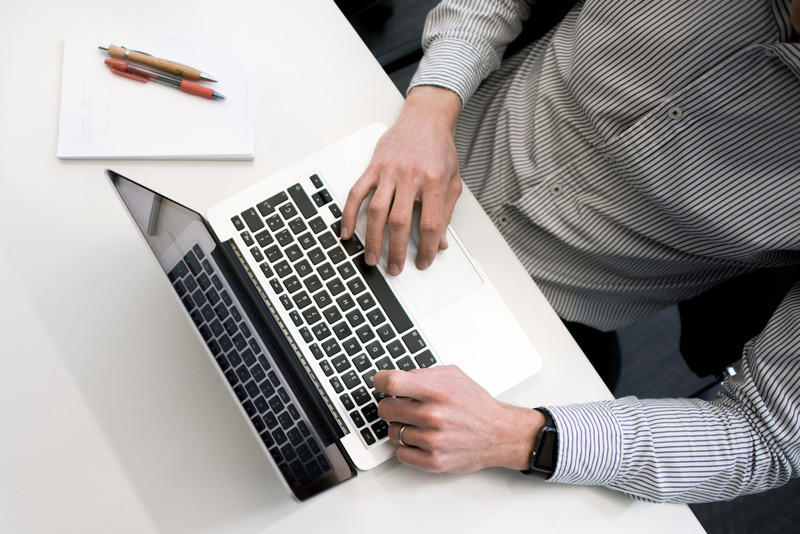 This focused on the tone of voice utilized in the posting of content as well as incorporating authoritative, informative and humanistic elements where required in response to feedback and direct audience engagement. Add Virtual Page measurements to action buttons – social clicks, phone clicks, etc. 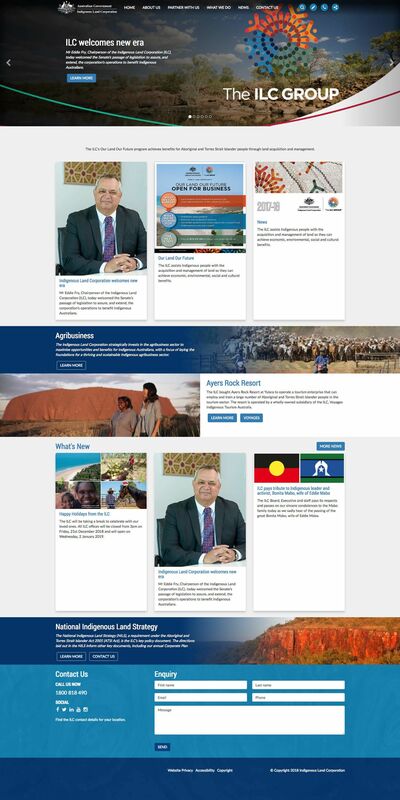 At the projects conclusion, The Indigenous Land Corporation were provided with a website that not only caters to their growing needs, but also provides a valuable platform that allows them to talk to, and better understand, their different audiences in a highly engaging, personalised and informative manner. 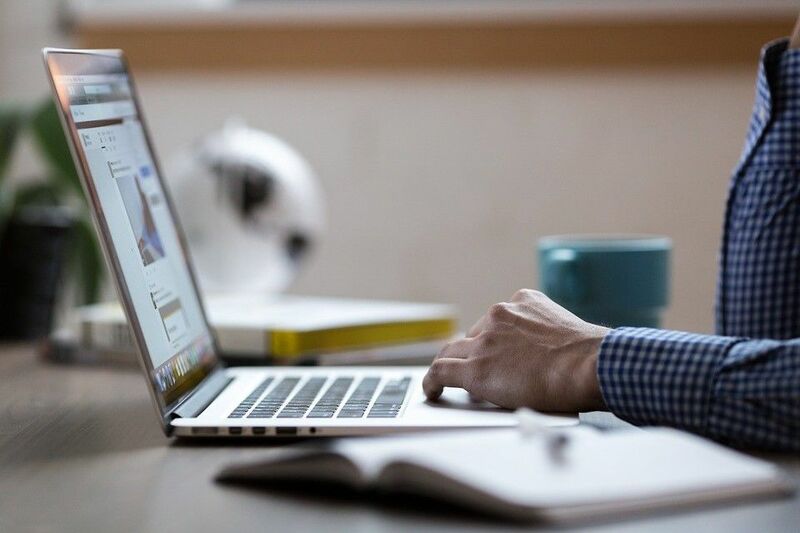 The implementation of a highly strategic SEO campaign has placed the ILC front and centre on organic search listings relating to their brand, services and available programs. Prior to engaging The Digital Embassy, the ILC were consistently placed outside of premium ranking listings in key areas and out of reach of their desired audience. Since the Indigenous Land Corporation’s launch on social media it has accrued almost 20,000 Facebook page likes, 170 Twitter followers and over 350 LinkedIn followers. They regularly upload and share new and relevant content which assists in validating their services and brand to their audience and improves their online reach to those who need it most.